We’ve seen the MOTU Mini’s and they’re neat, they look like the small DC action packs you make. Have you considered making MOTUC Imaginext figures? Imaginext seems to be taking off very well. That would be cool but no plans right now! Are my eyes playing tricks on me or is the 2014 Damien Robin actually different from the prototype? Some changes are always made from prototype to toy, but it is the same sku and sculpt. No changes beyond logistical production ones. With the amount of swappable parts included with these figures, the playability is increased substantially. Was there not any mass market retail support for these Ultra figures? The kid in me re-awakened once I saw these figures. Swapable parts are expensive and the goal was to keep the retail execution to a $9.99 SRP. One of the great things about Matty.com is it allows us to experiment with items that would not work at retail such as the plus’d up Ultra Total Heroes line! After the 2014 figures are done, is that IT for the 4 Horsemen on Mattel DC product? Will they continue to sculpt 6″ DC figures for MattyCollector’s online store or is 2014 really the end of their era with you on DC figures? We really can’t comment on plans that far in the future. The Four Horsemen continue to be our sculpting team on MOTUC, DCUC and the Ultra Total Heroes lines. 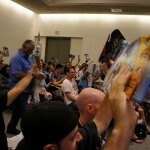 Well that’s a wrap, remember to post your MattyCollector 2013 Q&A questions here! Any plans for 3.75 ’60’s Batman figures? Even just Bats will do the trick for me. The 2013 line is in 6” scale. 3.75” Classic TV Series Batman figures would be pretty awesome though! How long does your Voltron license last? Sorry, that is not something Mattel can comment on. WOOOOOOOOOO! Is the Nature Boy Ric Flair in the works for the WWE Elite line? Perhaps a soundstage too since his entry theme is so epic? Anything is possible but nothing to announce right now. The Upcoming Red Reign/Vampire Batman looks like it sports a V-crotch instead of the traditional 4H style universal movement hips. Will it have the 4H hips by final production? Yes, Vampire Batman does indeed have the traditional 4H style hips- no V-crotch! 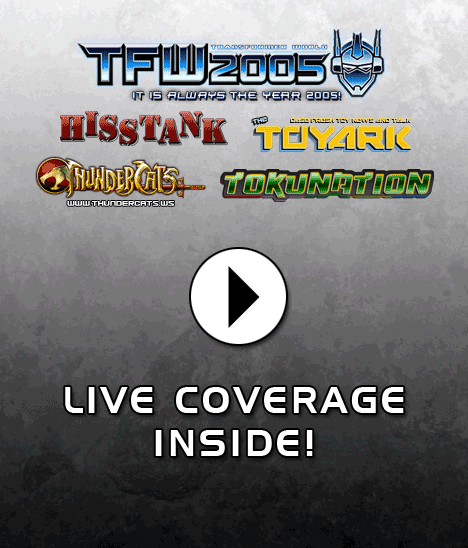 Don’t forget to post your questions in our MattyCollector 2013 Q&A thread! Mattel has several DC items on display at Toy Fair this year, including the Watchmen figures from Club Black Freighter, and several offerings from their Batman Unlimited line (Including a Batman Beyond figure!). To see all of these and more DC Signature figures, hit that thumbnail! EDIT: A bonus update! We now have images of a replica Superman suit worn by Henry Cavil in the upcoming Man of Steel movie! DC Unlimited Series 2 including Injustice Batman! 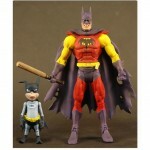 Batman Unlimited Series 2 including Dark Knight Returns Batman and Zur En Arrh Batman! 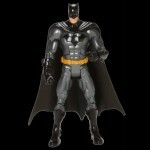 Thanks to site sponsor BigBadToyStore we have a look at Batman Unlimited Series 2. 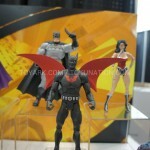 This wave will feature Batman incarnations from Planet X with Bat-Mite, and a Dark Knight Returns version. Check out the pics after the break! 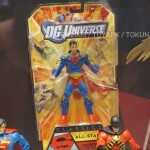 Toyark Sponsor Big Bad Toy Store has let us know they have updated the listings for some DC Unlimited 2013 items. 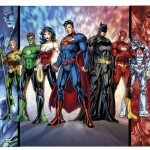 Included are DC Comics’ New 52 Hawkman, The Flash and Superman. They’ve also added listing for Batman Unlimited. See all of the DC Unlimited 2013 Pre-orders Here.